"It's a place in which you're just allowed to be curious," said Henry Robinson, a Yale senior who says he checks out volumes from the on-campus Bass Library once or twice every couple of weeks. Leland Stange, a Yale senior, has organized an on-campus protest called "Browse Bass: Save Our Library." Students are encouraged to check out books in the Bass Library. 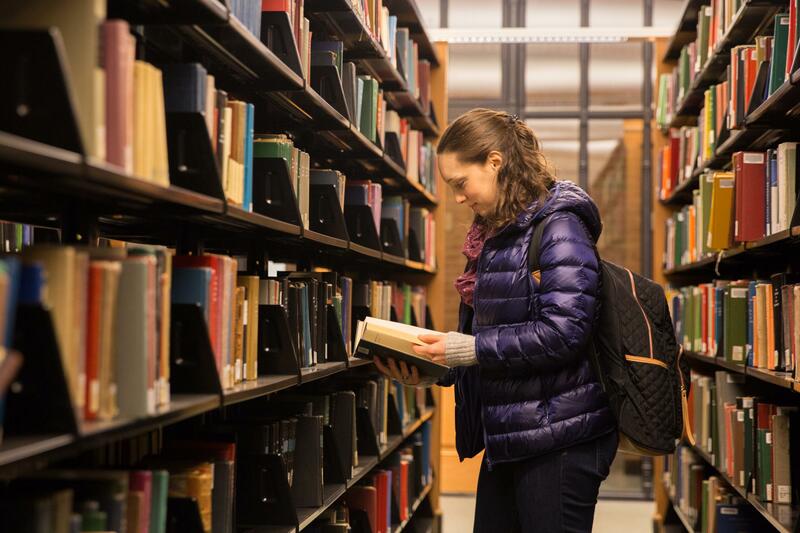 They’re concerned about an upcoming renovation of the Bass Library and they feel as if the school isn’t taking their study habits into consideration. By the fall, the school will remove about 58 percent of the volumes currently located in the Bass Library in favor of more study space. They’ll be re-shelved nearby in the university’s Sterling Memorial Library. Stange said the collection would have been cut down even further if it weren’t for student intervention. He’s organized students in protest of the Bass renovation. He encouraged students to check out books from Bass, in what they're calling a "browse-in." Students have also passed around a petition as a way to alert others about the book removal. The university’s librarian believes the controversy surrounding the renovation is overblown. Susan Gibbons attributed the passionate response from students to a conflation of two things: the task of keeping a student body that turns over year-to-year apprised of what’s happening, and concern over the project’s original timeline – one that would have seen a Bass closure for the fall 2019 semester. Gibbons maintains that she’s kept the Yale community of faculty and students updated on the project since the fall of 2017. "I'll have often gone into Bass not knowing what I was going to write for my next essay and you just find things -- little gems -- that you didn't know would be helpful, but are crucial to your essay," said Olivia Facini, a Yale student from Ridgewood, New Jersey. Volumes are placed into Bass based on suggestions by Yale professors, which students say they like because any work’s inclusion there could spark debate between the instructors and their pupils. Facini and other seniors are speaking out about something that’ll take place after they’re gone. Gibbons, however, doesn’t anticipate a change in studying patterns for students. She said that students access collections at both the Sterling and Bass libraries at a similar rate, but that usage of the Bass Library has dropped considerably. “The reality is that the number of students who are using books in their classrooms has changed over time,” Gibbons said. “In some cases, in the humanities, it remains high, but in other disciplines, it is changing to more electronics such as articles that are online and things like that." The Bass Library has 145,000 volumes as of now but after the renovation, it’ll be more like 61,000. Nelba Márquez-Greene’s daughter Ana Grace was one of the victims killed at the Sandy Hook Elementary School on December 14, 2012. On Friday, six years after the event, Márquez-Greene marked the tragic event by giving back to families in the New Britain and greater-Hartford area.